Singapore recently revised the filing of financial statements to comply with the eXtensible Business Reporting Language filing system, better known as XBRL. Currently, only companies with corporate shareholders or insolvent exempt private companies are required to file the accounts in XBRL format. However, starting 02 December 2013, almost all companies will need to file their accounts in XBRL via new BizFinx system. The new filing requirements allow data to be analysed almost immediately. Hence, Singapore registered companies can look forward to a fuller array of data and information to aid them in their business decisions. However, foreign companies or those which have just set up in Singapore may face difficulties understanding the new requirements. To comply with annual filing requirements, they can then choose to hire the services of a corporate service provider. 1. Who needs to file in XBRL format? 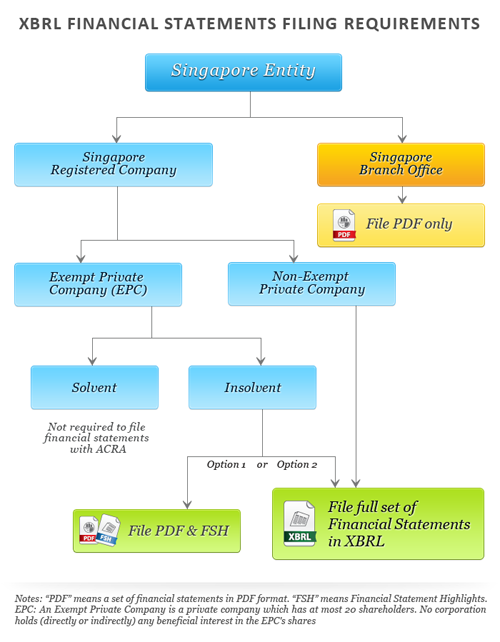 You’ll need to file in XBRL format if you are a Singapore incorporated company which is either unlimited or limited by shares. This is on top of the required filing of your financial statement with ACRA. Filing of Option B (Partial XBRL), a filing option under the current XBRL filing system, will no longer be available. 2. Which companies are exempted from filing XBRL format? If you are a commercial bank, merchant bank, registered insurer or finance company that is regulated by the Monetary Authority of Singapore or if you are a company allowed by law to prepare accounts in accordance with accounting standards other than Singapore Financial Reporting Standards (SFRS), SFRS for Small Entities and IFRS (International Financial Reporting Standards). 3. What is the applicable financial period? Chances are that your business will start filing in XBRL format in 2014. The new filing requirements are applicable if you are filing financial statements with periods ending on or after 30 April 2007. Those who are filing financial statements relating to financial periods ending before 30 April 2007 will continue to file their financial statements in PDF format. 4. What is the minimum requirement list? The minimum requirement list is a set of elements which companies are required to file if the information is available in the financial statements. Elements in the list are included if they are sought after by consumers of financial information. 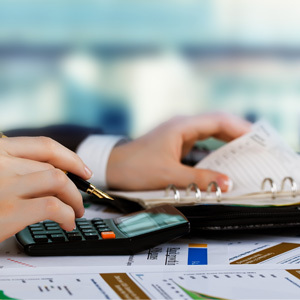 The requirements comprise of a text block element which lets companies submit their entire set of financial statements, as well as information elements within which companies can submit information about individual sections, such as a statement of financial position or independent auditors’ report. Need help filing your financial statements? Please visit our Singapore XBRL services page.